Free Onward Travel for 12 Months with National Recovery Policy at AA Breakdown Cover When selecting your policy, add national recovery and onward travel to your breakdown cover to get onward travel free for 12 months. European Breakdown Cover from £7 a Day at AA Breakdown Cover Going abroad this year? Get covered with AA Breakdown Cover from just £7 a day, one less thing to worry about! 20% Off Moto Service Stations, Selected Pubs and Restaurants with Membership at AA Breakdown Cover When you're a member of the AA Breakdown squad you'll get a few extra benefits, like 20% off at Moto service stations as well as thousands of pubs and restaurants! Up to 15% Off Car Hire for Members at AA UK Breakdown Cover Already an AA member? Get your car hire with 15% off thanks to this handy deal. Breakdown Cover from £5 a Month at AA Breakdown Cover For just a simple monthly payment, you can drive your car around the UK knowing you have breakdown cover. Plenty of extra perks with your membership, such as money off over 1,300 restaurants, pubs and Moto service stations too. The AA vans are fitted with specialist towing equipment, meaning that fewer Members need to wait for a recovery truck. And while the AA always try to fix your car at the roadside, if that’s not possible, they’ll tow you to a nearby garage. With sterling service from an expert team, becoming an AA member is a no-brainer for those who like to just get back on the road. Should you need help deciding on what type of cover could suit you, let the AA help you choose and within minutes you’ll be driving easy and safe in the knowledge that if you get caught out - things aren’t so bad after all. How do I use my AA discount code? Your discounts and special benefits will automatically be applied so you can continue to fill in your personal details. Check out the monthly offers available when you are an AA member. From restaurant deals and car hire to home and leisure offers too - AA benefits will always take you further. How do I become an AA member? 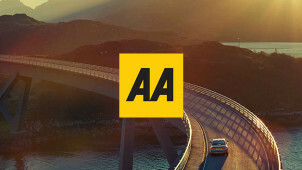 It's easy to join the AA, visit their site online and choose a package that suits you. How do I access my AA member benefits? As a valued customer, you will instantly have access to a brilliant array of offers and even prize giveaways. Simply sign-in online or on your app and ensure that you are registered to find them all when you're on the go. How can I renew my AA cover? The AA should notify you in writing in plenty of time before you need to renew your cover, but you can call them on 0343 316 4444 to speak to someone in person about a renewal or change of cover. You can set up a direct debit or choose a continuous payment, get in touch when the lines are open on weekdays from 8am to 8pm and Saturdays from 9am to 5pm. Can I get AA Breakdown Cover abroad? There are over 40,000 trusty garages in 44 countries across the continent which will be able to help you should you buy cover for when you go abroad. Choose a single trip option or even annual cover and then you can relax and just enjoy your holiday. Click here to see the options available for European destinations. You can also reach AA online via their support page, which covers a wide range of topics and specific enquiries. When you’re planning a road trip, the last thing you want to be worried about is breaking down, so make sure you’re protected with AA Breakdown Cover to sort you out if anything goes wrong. Use an AA Breakdown discount code from vouchercloud to help keep your plans on track for less. The AA’s brilliant mechanics fix eight out of every ten vehicles at the roadside and you could be on the road again in as little as 30 minutes. The AA’s nifty app makes it even quicker and easier to call them out when you’re faced with a breakdown. You can use it to report your breakdown, pinpoint your location, and even track their arrival. AA members can find cheaper fuel and to stay updated with the latest traffic info on the app too. With the ability to set MOT and tax reminders, there’s not much the AA’s app won’t do! AA Breakdown membership makes for a great gift for a loved one with their eyes on an adventure. If someone you know is planning to hit the road in the UK and Europe anytime soon, make sure they’re protected with the best, not forgetting to use our AA offers on your gift purchase to make it even better value. They’ll sleep easier knowing their cover is so comprehensive — the money off at service stations and car hire won’t hurt either!